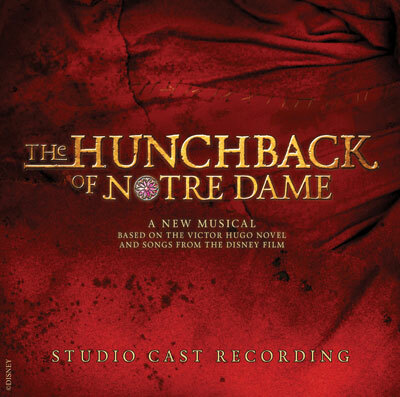 In 1999 there a German musical version of Disney’s Hunchback of Notre Dame. It was always the desire of Alan Menken and Stephen Schwartz that the production should come to the States. It wasn’t till 2013 when The King’s Academy did a production of it which was a collaboration with Disney. This paved the way for two profession versions to be performed as a pre-Broadway try-out at La Jolla Playhouse in last 2014 and at the Papermill Playhouse in early 2015. Ultimately the show did not go to Broadway and is being played around the Country at smaller Professional venues. However on January 22 there was a Studio Cast Album released. It has gotten some critical acclaim and was the number one for Cast Album sales, as well as 17 in album sales and made Billboard 200 at 47. So it has done well. For the next couple of weeks, because that is how I do things, we’re going to look a few songs at a time. I’ll give my impressions, thoughts etc. And we’ll see if this really is the critical darling of people’s dream or is just pale comparison to the German version. My guess is that is somewhere in the middle.